GREAT SHOW!!!!! 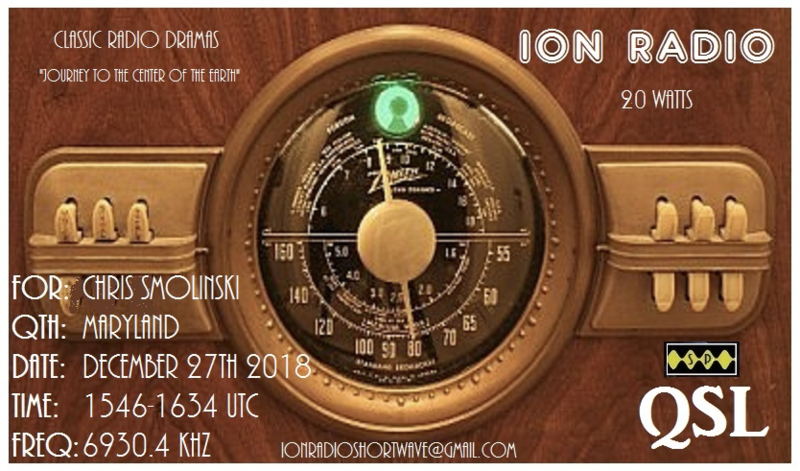 THANK YOU VERY MUCH FOR BROADCAST & eQSL, SOUNDING GREAT. Also received the same here! Thanks ION! Received the same nice QSL as Chris. 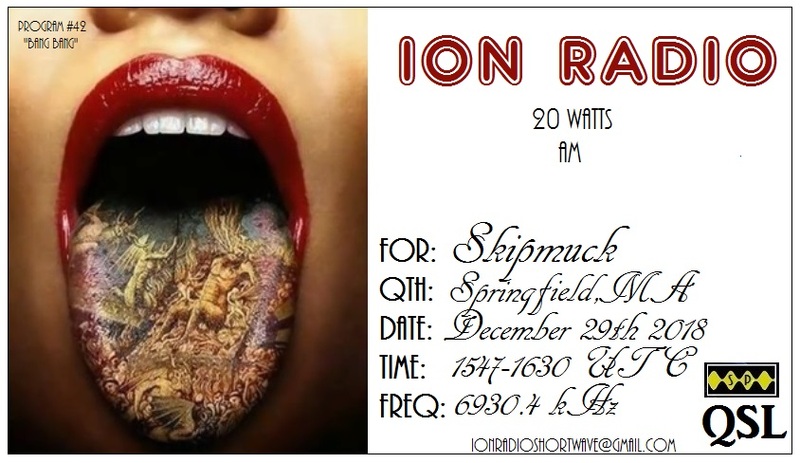 Thanks Ion Radio!